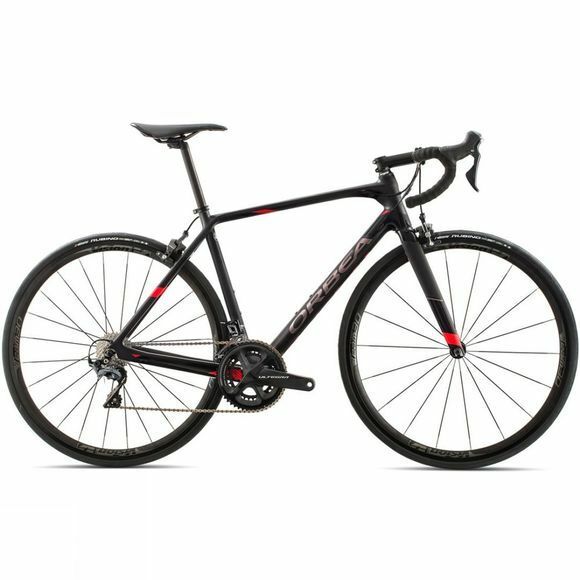 The Orca M20 is not your everyday road bike, it is not for the casual rider, it doesn’t offer a relaxed neutral ride position, but it is incredibly fast. It is built for the rider who can sustain the watts even through winter, that guy who is always King of the Mountain, those dedicated hardmen, hardwomen and cycling superstars who never consider quitting early. This rapid machine is built by Orbea, one of the oldest bike manufacturers in the world who were born in the foothills of the Basque region. They know a thing or two about mountains, and this shines through in their designs. The Orca is more than capable of taking on the hilliest of stages, and it will do it with speed and grace. The Orca uses Orbea’s Dynamic Structure Stiffness technology, which allows a large majority of torsional and lateral loads to be handled by the lower spine of the frame. The headtube, downtube and chainstays are shaped to resist twisting and transmit maximum power to the rear wheel to drive you forwards, something that makes this incredible bike so quick. And, large cross-sections and resistance to flex in the bottom of the frame translate directly into more watts on the road and the sensation that power transfer is instantaneous. To perfect control and traction Orbea have given the Orca thinner seat stays, reducing the cross-sections and diameters which allows it to handle rough roads without compromising on global rigidity. Frame - Orbea Orca carbon OME, monocoque,tapered 1-1/8" - 1,5", PF 86mm, powermeter compatible, brake internal cable routing, EC/DC compatible, 130mm rear spacing, 27,2mm seat tube. Fork - Orca OME carbon fork, full carbon steerer, tapered 1-1/8" - 1,5", carbon dropouts.